Olympic champion Simone Biles appeared less than impressed on Saturday with the appointment of former US congresswoman Mary Bono as the latest interim president of embattled USA Gymnastics. Biles took to Twitter to take issue with a tweet Bono posted last month that was critical of apparel maker Nike after the company's ad campaign featuring Colin Kaepernick. Critics of Nike were angered in September by the company's decision to embrace Kaepernick, the former San Francisco 49ers quarterback who triggered a political firestorm after kneeling during the US national anthem in 2016 to protest racial injustice. The tension is another setback for a USA Gymnastics federation desperately seeking stability in the wake of the sexual abuse scandal involving former team doctor Larry Nassar. More than 200 women, including Biles and other Olympians, have come forward over the past two years saying they were sexually abused by Nassar under the guise of treatment. USA Gymnastics announced Bono's appointment on Friday, saying she would serve as interim president and chief executive until a permanent replacement for Kerry Perry is found. Perry resigned last month under pressure from the US Olympic Committee after nine months in the job. 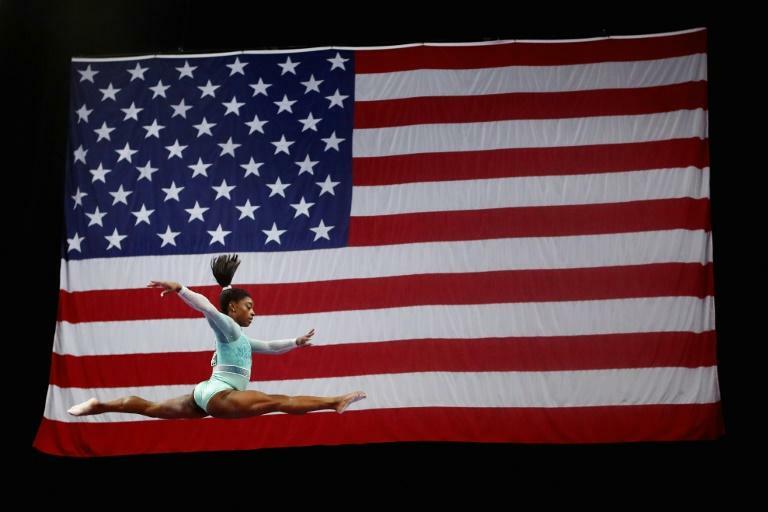 Biles, the reigning Olympic all-around champion and winner of four golds at the 2016 Rio Games, will lead the US team for the Gymnastics World Championships in Doha October 25-November 3. The team was named on Friday at the conclusion of a selection camp in Florida.